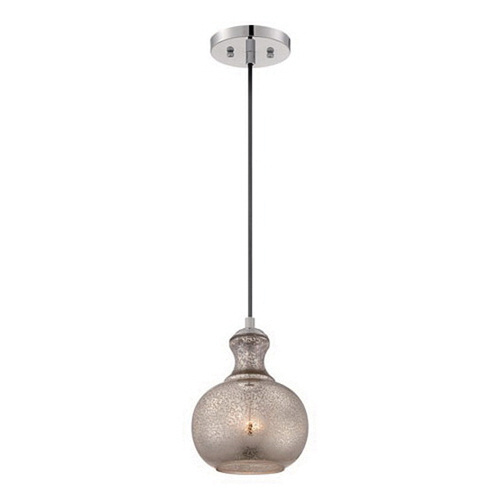 Quoizel Lighting Sonia Collection 1-Light mini pendant fixture in artica finish, features steel construction. This fixture uses one 60-Watt lamp that has voltage rating of 120-Volts. It measures 7.5-Inch x 7.5-Inch x 10.5-Inch. This fixture comes with 10-ft lead wire for hassle-free installation. It is ideal for kitchen lighting. Fixture is cUL listed.